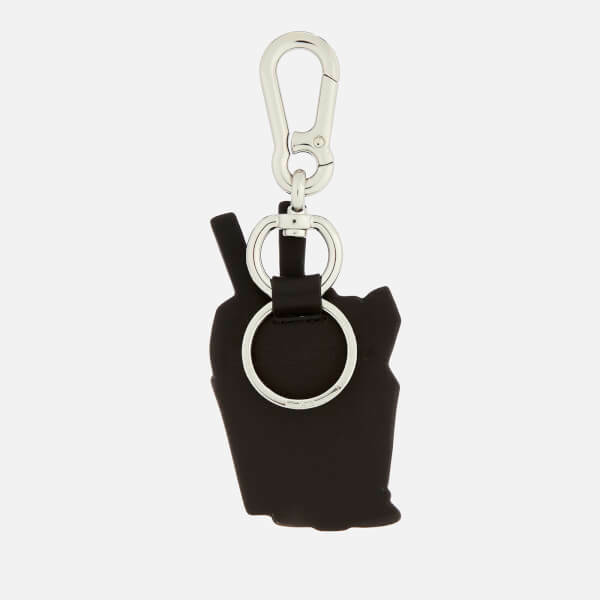 Leather keyring from McQ Alexander McQueen. 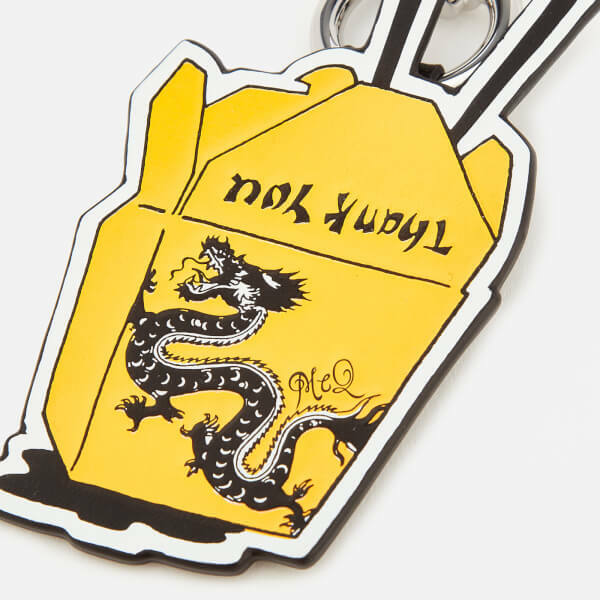 Made from buffed leather, the keychain has been designed in the shape of a Chinese takeout box in yellow with embossed detailing. 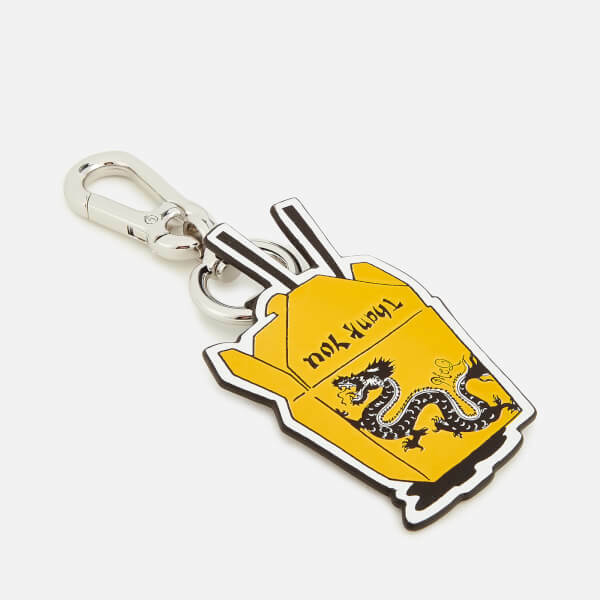 Fitted with a lobster clasp and keychain attachment for adding to keys and bags. 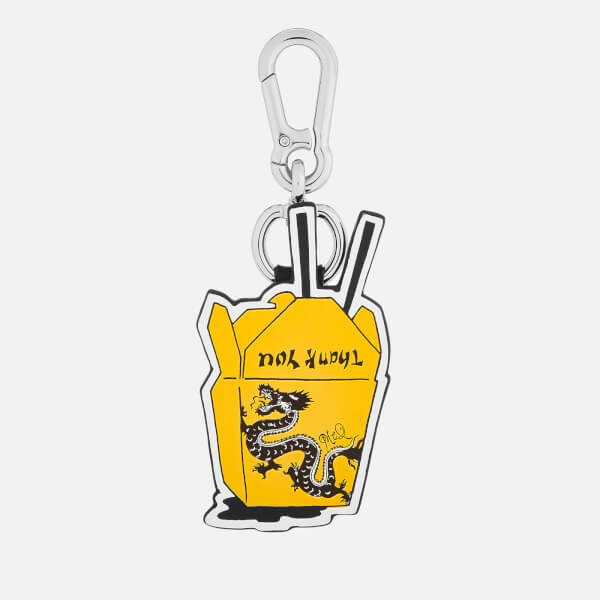 Branding to the back. Silver tone hardware.